We have a first class team of highly skilled and factory-trained mechanics that staff our rebuilding shop. Our rebuilding facilities have all the specialized tools and equipment necessary to maintain the highest standard of performance. Since 1950, we have built a reputation for quality workmanship and for building a safe, quality-built product. You can depend on Trucks & Parts. We are experts. Trucks & Parts of Ohio. 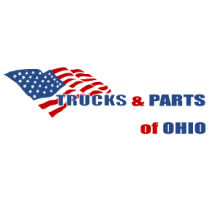 SEARCH - Trucks & Parts of Ohio.